LB302, introduced by Venango Sen. Dan Hughes on behalf of Gov. Pete Ricketts, would authorize the transfer of statutory powers, employees and assets of the State Energy Office into the state Department of Environmental Quality on July 1, 2019. The new agency would be named the Department of Environment and Energy. Hughes said private companies, cities and natural resources districts support the merger. He said he has “total confidence” in Director of Environmental Quality Jim Macy, who would lead the new agency and currently serves as interim director of the State Energy Office. Macy testified in support of the bill, saying the two agencies have related functions and similar services that could be improved by combining their efforts. Macy said the merger also would cut redundant administrative jobs and aid succession planning at a time when 40 percent of state Department of Environmental Quality staff and 70 percent of State Energy Office staff are within five years of retirement. Macy said the U.S. Army Corps of Engineers and the state Department of Environmental Quality review 404 program permits. State assumption of the program could eliminate that duplication of effort, he said. “This would reduce the amount of time it takes to get a permit and accelerate job-creating economic development and infrastructure projects across the state while protecting water quality,” Macy said. The state could assume permitting authority only with further action by the state Environmental Quality Council and funding from the Legislature, he added. 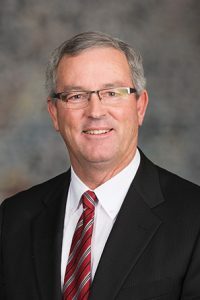 Craig Mielke, an environmental scientist with Omaha engineering firm Alfred Benesch & Company, testified in support of the bill on behalf of the American Council of Engineering Companies. He said Nebraska has an extensive framework of agencies and regulations to protect its more than 81,000 miles of streams. 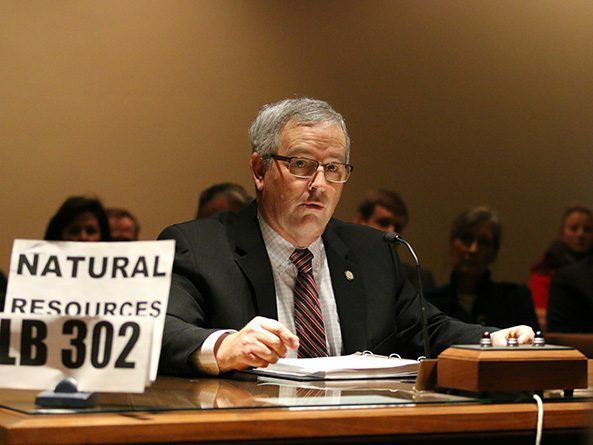 Pat O’Brien of the Upper Niobrara White Natural Resources District testified in support of the bill on behalf of the Nebraska Association of Resources Districts. He said many NRD water management plans require physically manipulating streams or building structures to control them—projects that require 404 program permits. “Over the past few years, the time and expense to receive these permits has risen drastically,” he said, adding that the NRDs support state assumption of the program. Jonathan Leo, an environmental attorney in Lincoln, gave neutral testimony on the bill. While making government more efficient when necessary is “unimpeachable,” he said, the Legislature also should ensure that the new agency maintains or enhances environmental protection standards for the state’s waterways and other natural resources.